A new edition of FSCONS also means a new poster. There is a good chance that you will spot it if you live in Gothenburg. Without further ado, here it is! 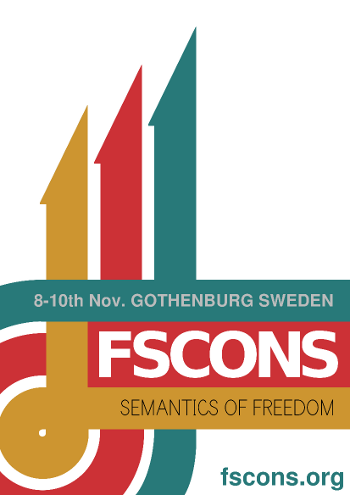 Everyone is encouraged to download a PDF copy, print it and post it at places where people who could be interested in FSCONS might spot it.